The new ACS 2010-2014 Camaro side bumber extensions are designed to finish out the aggressive look your Camaro deserves.. The rockers are molded in our RTM composite process, which gives the component a smooth finish on both sides. This process enables a higher quality piece with an added clean smooth look for safe cleaning and an OEM appearance. Fits all Camaros except ZL1. 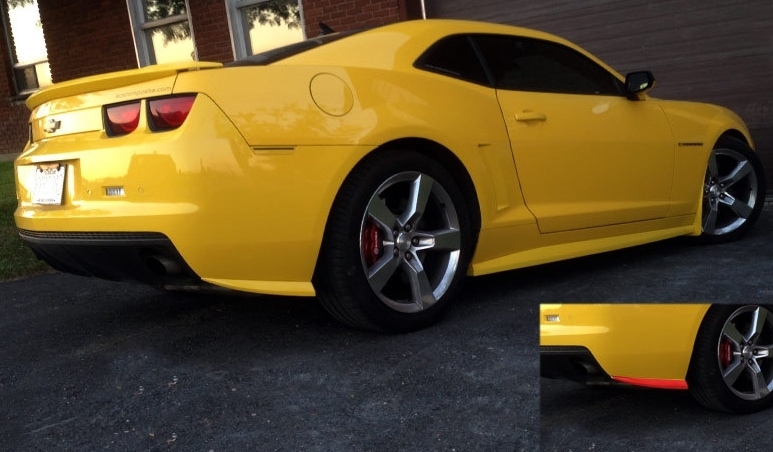 These Camaro rear bumper extensions come in primer finish and all body colors. Primer finish ships the same day, pre-painted body colors are done to order and take additional time to ship.